He went on to medical school at Dalhousie University in Halifax and obtained his MD in 1992. He subsequently completed internal medicine and cardiology training at Queen’s University in Kingston and then a Heart and Stroke Foundation Clinical and Research Fellowship in Cardiac Electrophysiology at the University of Western Ontario, under the supervision of Dr. George Klein. After returning to Kingston in 1999, he founded the Heart Rhythm Program at Kingston General Hospital, establishing catheter ablation and implantable defibrillator programs. From 2006-2016 he served as Professor and Head of Cardiology at Queen’s University, as well as Medical Director of the Cardiac Programs at Kingston General Hospital/Hotel Dieu Hospital. Currently, he is Vice-Dean (Clinical) and Medical Director of the Southeastern Ontario Academic Medical Organization (SEAMO) in the Queen’s School of Medicine. He is also an Affiliate Scientist with the Institute for Clinical Evaluative Sciences (ICES-Queen’s) and a member of the Queen’s School of Policy Studies Health Policy Council. Dr. Simpson’s primary non-clinical professional interest is health policy – particularly access to care, seniors’ care, wait times and medical fitness to drive. He served as the chair of the Wait Time Alliance (WTA) – a federation of 17 medical specialty societies and the Canadian Medical Association (CMA) – and is a past chair of the Canadian Cardiovascular Society’s (CCS) Standing Committee on Health Policy and Advocacy. He serves on the Cardiac Care Network of Ontario Board of Directors, is a past member of the CCS executive and a former governor of the American College of Cardiology. He currently serves as the Canadian representative to the World Medical Association (WMA). He served as the first president of the Canadian Heart Rhythm Society – the national association of heart rhythm specialists and allied health professionals. Over the years he has served on numerous editorial boards and advisory committees, and has chaired or been a member of several national consensus conferences and guidelines statements, including the CCS Consensus Conference on Medical Fitness to Drive and Fly, of which he was co-chair. He is a co-editor of the CMA Driver’s Guide. He was the first recipient of the CMA Award for Young Leaders. An active clinician, educator and researcher, Dr. Simpson has authored or co-authored over 350 peer reviewed papers and abstracts and has won numerous teaching awards. 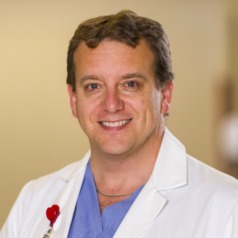 His clinical and research interests include access to care and medical wait times, medical fitness to drive, atrial fibrillation, sudden death in the young, catheter ablation and cardiac resynchronization therapy. Outside medicine, Dr. Simpson serves on the Board of Directors of Cantabile Choirs of Kingston and is a proud supporter of University Hospitals Kingston Foundation. He recently served as Chair of the Kingston Blue Marlins Swim Team Board of Directors. The proud father of three daughters and a son, he immensely enjoys watching and cheering their academic, musical and athletic pursuits.